Cannabis: Is it legal, or not? Cannabis became legal for recreational use in California in January 2018, but it remains a federally controlled substance. Dive into the social, judicial, economic, and environmental impacts of legalization, find out what has shifted in the legal and cultural landscapes surrounding marijuana, and indulge your curiosity about different cultivars through live plant displays and demonstrations. Since 1969, cannabis has been federally classified as a Schedule 1 drug under the Controlled Substances Act, labeling it as having no currently accepted medical use and a high potential for abuse despite While cultural and medical norms and state laws have shifted, this federal law remains in place, preventing research and the inter-state transportation of cannabis and limiting cannabis banking. Join University of California, Irvine law professor Bob Solomon to learn more about these laws and the issues arising from state medical and recreational marijuana laws. The legalization of recreational cannabis use in California has been complex from legal, cultural, and economic standpoints. Begin untangling these knotty issues with Rodney Holcombe, staff attorney at the Drug Policy Alliance, and Eugene Hillsman, acting director of San Francisco’s Office of Cannabis come hear about some of the ways California has changed since legalization and get a better understanding of what the future may look like for cannabis culture and the law. Sluggish sales, low tax revenues, a thriving black market: California's first year of legalized cannabis was very different from the experiences of other states that went before it, including Colorado and Washington. Find out from New York Times journalist Thomas Fuller what is holding California back from a fully functioning legalized market. New Frontier in Sustainable Agriculture? Cannabis is the most lucrative crop in California today, but questions remain about the possibility of growing cannabis at scale while protecting the environment and sustaining rural communities. Get the latest on the impacts of cannabis agriculture on the environment with UC Berkeley Environmental Science professor Van Butsic and consider whether cannabis is a crop destined to lead to environmental harm, or if it may push all agriculture toward sustainability. With legalized medical cannabis since 1996 and decades of cannabis activism, cultivation, and consumption long before that, California has long been a global leader in cannabis. Join Hezekiah Allen of Cooperative California for a look at where we’ve been and where we might go: the history of cannabis in California, the politics and policies shaping the emerging market, and the opportunity of cannabis could be, both here and around the world. What’s “dudding”? What’s the difference between a virus and a viroid, and what does it have to do with hops? Join Dr. Jeremy Warren of Dark Heart Nursery to learn more about recent research and findings about this pathogen, its effects on cannabis crops, and what steps are being taken to eradicate it. Is it OG Kush or Maui Wowie? And where did it come from? 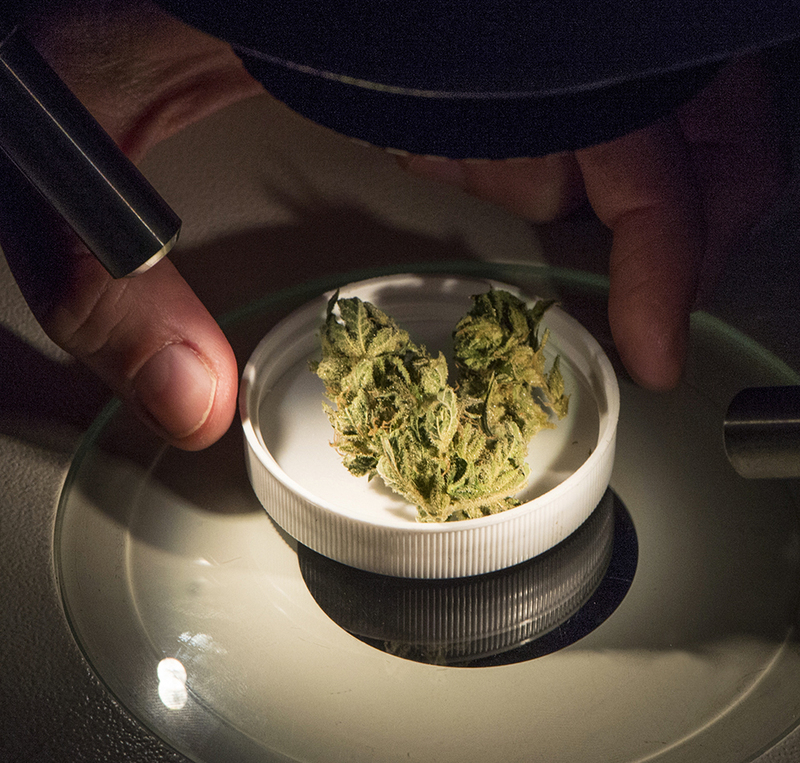 Find out from Dr. Alisha Holloway how the Cannabis Evolution Project and the Phylos Galaxy are unlocking the genetic mysteries of cannabis. Explore an interactive 3D visualization of the world's largest genetic database of cannabis varieties, then learn how new technologies can illuminate how cannabis works and how it can be bred and grown to produce desirable physical characteristics and sought-after chemical compounds like terpenes, THC, CBD, and more. Plants are nature's master chemists they produce a staggering diversity of small molecule metabolites to survive, thrive, and communicate in constantly changing environments for lifespans of up to several hundred years. Among these metabolites, terpenoids form the largest group, with essential functions in plant development, ecological adaptation, and fitness. Many terpenoids are also valued as therapeutics, food additives, fragrances, biofuels, and more. Learn about these essential substances from UC Davis professor Philipp Zerbe, whose research group seeks to decode plant-specialized metabolism and translate it into innovative biotechnology applications. See the science of cannabis propagation for yourself. Come by the Dark Heart Nursery table to see the intricate process of cannabis tissue culture propagation and virus eradication and learn about new discoveries in the world of viroids and pathogens that are affecting the North American cannabis community. Got questions about cannabis potency, flavor and smell, differences between strains, or common contaminants? Lab testing can help. Cannabis testing labs also play a vital role in the safety and quality of products in the California cannabis industry, verifying the potency and cleanliness of the products in California dispensaries. Find out how. If you have unexpected residents in your garden, entomologist Ralph Washington, Jr. has your back. There are many interesting insects associated with garden plants, and he can teach you about pest management around cannabis plants: biological control, diseases, and forensic entomology. How does one plant become many? Come see propagation techniques from the professionals! Consult Dark Heart Nursery to learn about cannabis clone propagation techniques and discuss mother-plant care rituals that lead to the successful growth of Dark Heart cannabis plants in your garden. See a dissection of cannabis flowers and observe the differences between marijuana and other, more recognizable blooms.